Utility Evaluation: This section of the conservation plan should describe the utility providing information on supply source, treatment, distribution system, water production, peaking rates, water sales, metering, types of customers, number of meters, etc. Projected Future Requirements: This section should set forth projections of future population and water use including peaking demands. Water Rate Structure: This section should review the water rate structure and its effect on water conservation. An increasing rate structure can result in customers reducing their usage. The rate should not offer a saving with increase usage as that encourages wasteful use. Alternates: Water conservation methods are sometimes divided into two categories: (1) demand management methods and (2) supply management methods. Demand management methods deal with water use on the downstream side of the customer meter. Demand management provides education and incentives to reduce the water use by the customer. This method of conservation generally results in a decrease in water revenues, because less water is purchased. This does not create a problem since water production costs are reduced because less water is produced. Supply management methods deal with the utilities water system upstream of the customer’s meter. The goal of supply management is to improve efficiency and reduce waste within the production, treatment and distribution system. Supply management can result in decreased cost to the utility as water loses in the system are reduced. Education and Information: The most readily available and lowest cost method of promoting water conservation is to inform water users about ways to save water inside homes and other building, in landscaping and lawn uses and in recreational uses. An effective education and information program can be easily and inexpensively administered by the utility system. Materials are available from the American Water Works Association, the Missouri Department of Natural Resources, the Environmental Protection Agency and other organizations. The local news paper should serve as a means to communicate to the customers. An additional means of communication with the customers is through the use of public service spots on the local radio and TV stations and through mailings in the water bills. Plumbing Codes: Water saving codes for new construction and for replacement of plumbing in existing structures should be adopted. 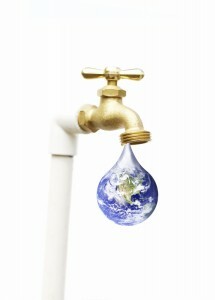 Water saving plumbing codes can be specifically tailored to be accepted by the utility. Retrofit Programs: The utility should make information available through its education program for plumbers and customers to use when purchasing and installing plumbing fixtures, lawn watering equipment and water using appliances. Information regarding retrofit devices such as low flow shower heads or toilet dams that reduce water use by replacing or modifying existing fixtures, or appliances should also be provided. Water Rate Structure: A water conservation oriented rate structure usually takes the form of an increase in block rate, although continuously increasing the structures, peak or seasonal load rates, excess use rates and other rate forms can be used. The increasing block rate structure is the most commonly used conservation rate structure. Separate rate structures are sometimes used for commercial, institutional and industrial customers. Water Conserving Landscaping: In order to reduce the demand placed on a water system by landscape watering, the utility should implement methods that either encourage by education and information, or required by code, or ordinance, water conserving landscaping by residential customers and commercial establishments engaged in the sale or installation of landscape plants or watering equipments. Universal Metering: The utility should have master meters at all their sources of supplies. In addition, all users, including the utility itself and all municipal facilities, should be metered. A regularly scheduled maintenance program of meter testing, repair and replacement needs to be established to ensure that the proper metering is taking place. Meter testing, repair and replacement can be used in conjunction with other programs such as leak detection and repair, thereby saving significant quantities of water. 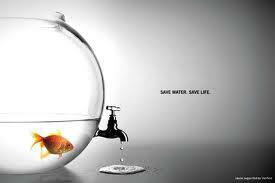 All uses of water must be metered. Leak Detection and Repair: A continuous leak detection, location and repair program is an important part of the water conservation plan. An annual water accounting, or audit, is an element of the conservation program. The causes of unaccounted for water, once located, must be immediately corrected. Utility employees should periodically check for leaks when reading meters and when driving around the service area. Major leaks are usually detected by either the utility employees, police or customers and repairs should be made immediately. Leak technology is available in the form of electronic sonic devices and this equipment should be used regularly. Recycling and Reuse: Recycling and reuse is an excellent means to increase water supplies in the service area. Reuse is especially important where the use of treated effluent from industry and/or municipal systems replaces an existing use that currently requires fresh water from the utility supply. Industry should be encouraged to recycle internally. Consideration should be given to using treated wastewater for parks, golf courses, green spaces, etc. Tri-State Water is available to speak to your group about water supply issues and our mission. If you are interested in having Tri-State Water speak to your group, or would like additional information, please click here.